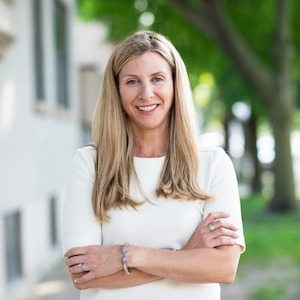 Chicago real estate professional Kate Stephens has the ideal combination of area expertise, tenacity and accessibility that make her a sought-after partner for both buyers and sellers. Utterly confident and competent, she's made a name for herself by winning in competitive, multiple-bid situations and offering incredible skill at pricing homes aggressively. It's no surprise that Kate has earned industry accolades from the moment she entered the industry: She was nominated for Rookie of the Year by Chicago Agent Magazine in 2012 and has ranked among the top agents at her firm ever since. Raised by an agent mother and real estate attorney father, real estate is practically in Kate's DNA. She earned her bachelor's in marketing and finance from Georgetown and an MBA from the University of Chicago Booth School of Business. After college, she honed her outstanding skills in investment banking and in brand marketing at Hyatt, Sara Lee and Ball Park. She has priced multimillion-dollar companies for acquisition and investment, and negotiated with every major sports franchise in Chicago. Kate has two young children and resides in North Center, which she loves for its great restaurants, shopping, parks and family-friendly businesses.